Did you know that WCCLS (Washington County Cooperative Library Services) has a kids page? They sure do! And our good friends there have been posting Fingerplay Fun Fridays on their blog every Friday! Check out the blog every Friday to learn the words to a fun finger play rhyme, complete with a short video on how to do the actions yourself. Using these rhymes with your little ones up through age six are a great tool you can use to teach them language, vocabulary, and how words are broken down into syllables/different parts, which are all important skills to develop before they start reading on their own! 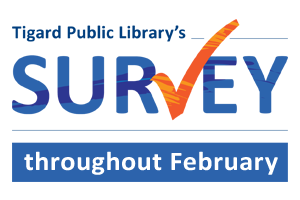 Take the 2014 Library Survey--There's Still Time! Did you miss out on taking the 2014 Library Survey due to the inclement weather? Well, there's still time. You can take the survey online by following this link. The survey will remain online through the end of the month, Friday February 28th. So take a few moments to answer just a couple questions on how you feel about the Tigard Public Library and how it meets you and your family's needs! Parents and Caregivers: Join early education expert and author Lisa Guernsey for an overview of screen time research and discover reasonable ways to incorporate technology into your family life. 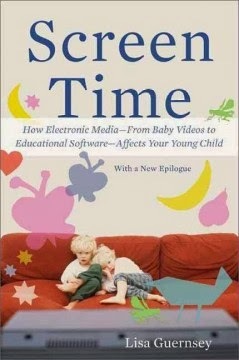 After the presentation, Lisa will sign copies of her book Screen Time: How Electronic Media--From Baby Videos to Educational Software--Affects Your Young Child. This very informative session will be held on Wednesday February 26th from 7-8 p.m. in the Burgess Community Room. REGISTRATION FOR CHILD CARE DURING THE EVENT IS REQUIRED! Please stop by the Children's Desk or call 503-718-2656 to ensure child care for your child. Yup, it's that time again....time to take a break, a story time break that is! Us librarians will be taking a break from story times February 24th through the 28th. If you stop by during or usual story time schedule, that's ok. We'll have toys available to play with in the Puett Room! Lego fans unite at this STEAM powered program. STEAM stands for Science, Technology, Engineering, Art, and Math. This Sunday, February 23, from 1:30-3:00, your Lego devotee can build the tallest structure, the longest structure, a racer powered by physics, or just have fun making stuff with other Lego-crazed kids. 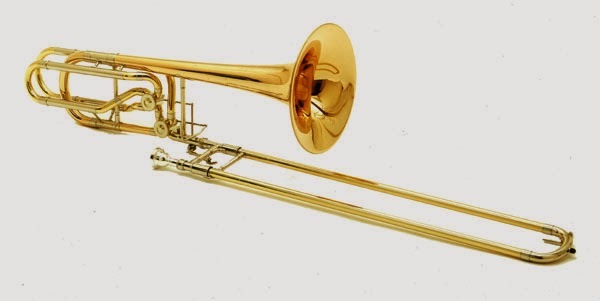 Musicians from the Early Music Guild will explore the history and use of the trombone and its predecessor, the sackbut. Enjoy music from both classical and jazz composers, inlcudeing Franz Joseph Haydn, Ludwig Senfl, Stephen Foster and Hoagy Carmichael. This concert is suitable for everyone, especially brass fans! 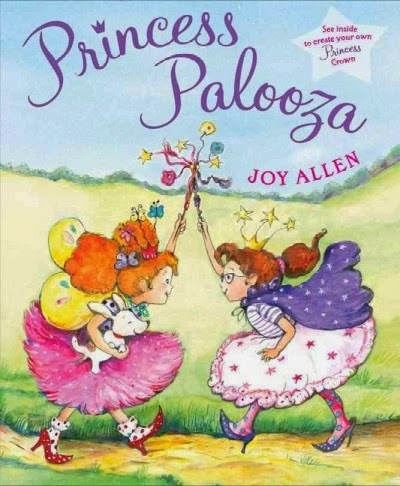 Join us on Saturday Febryary 22nd in the Burgess Community Room at 2:00 p.m.
Do you have an aspiring Fancy Nancy in your house? 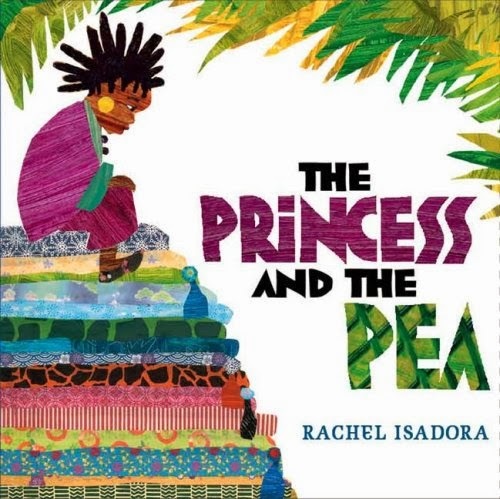 The Princess, Fairies and Being Fancy picture booklist has been completely updated! You'll find these titles and more. Here at STEAM Saturday, we want to make the sciences fun. Did you know that the laws of physics apply to everything, including outdoor play? Inertia, gravity and friction are all at work on the playground. The next time your child is on a swing, you can talk about Newton's First Law: "a body in motion remains in motion, a body at rest remains at rest, unless acted upon by force." The full experiment and several other experiements with playgound physics can be found here. 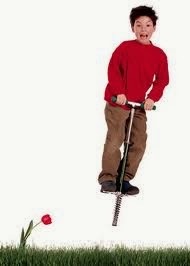 If you really want to be a star-student, check out the physics of bouncing on a pogo stick here. Come in from the cold and say "Aloha!" to the hula. Dancers from Hula Halau Óhana Holóokóa will perform and share the history of the hula in Hawaiian culture. UPDATE: Due to the inclement weather, the hula dancing will now be taking place on Saturday, February 15th at 3 p.m. in the Burgess Community Room and is open to ages 5 and up. Valentime Fun with Junie B. Are you looking for some Valentine's Day fun? Look no further! 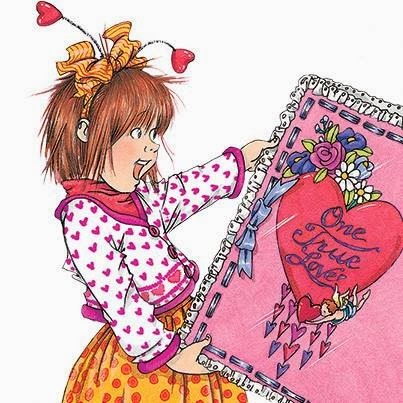 Everyone's favorite kindergartener, Junie B. Jones has some special "Valentime's Day" activities available online, inspired by Junie B. Jones and the Mushy Gushy Valentime. Share a print and cut Valentime with someone special. Or print, cut, and assemble your very own Valentime Mailbox to collect all Valentine's Day greetings. These activities will be sure to please! Are any of you parents out there experiencing stress in your relationships? If you are experiencing stress with those at work, or home, or with yourself, this class may help! Participants will learn how to use self hypnosis to decrease relationship stress. Self hypnosis is a safe, natural skill that anyone can develop. If you have ever had a daydream, then you have experience self hypnosis. Some come to the library community room on Wednesday February 12th from 7 to 8:30 p.m. and relieve relationship stress with self hypnosis! This program is generously sponsored by the Friends of the Tigard Library. • Ages 5 and up Are you looking for some good clean fun? Do you like to work with your hands? 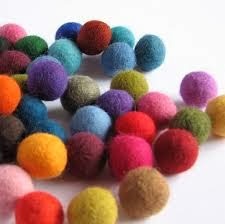 Come get tactile as we combine wool, water, a little soap and a lot of ball-rolling to make felted beads. Make one or enough for a bracelet! For those of you who are familiar with the Judy Moody and Hank Zipzer series of books for young to middle elementary school students, there are two new early reader series of books for the beginner reader crowd based on these two popular characters..
Let me introduce you to Judy Moody and Friends, aimed at ages 4 to 6. These books will expand more on some of Judy's buddies mentioned in the chapter books. The first two books in the series, Rocky Zang in The Amazing Mr. Magic and Jessica Finch in Pig Trouble will be released on February 11th. More books will be released in September. And for Hank Zipzer, he will travel back to second grade before his dyslexia is diagnosed in his new beginner reader series called Here's Hank. Books to be released on February 8th include Bookmarks are People Too! and A Short Tale About a Long Dog. I'm really looking forward to see how these chapter books transpose into beginner reader books. I hope your reader is too! Penny's Puppet's will be joining us for our upcoming Super Tuesday, as they present The Remarkable Snowflake. Crystal is a tough little snowflake who is determined to stick around. Can one snowflake make the world a better place in the short time she has? Join the winter storm fun in this original musical puppet show written and choreographed by local professional puppeteer, Penny Walter. It's all happening on Tuesday February 4th at 6:30 p.m. in the Burgess Community Room.